Four exercises on reported speech can be used both for training and for test. The present downloadable printable was created for adults at Intermediate (B1) and Upper-intermediate (B2) level. 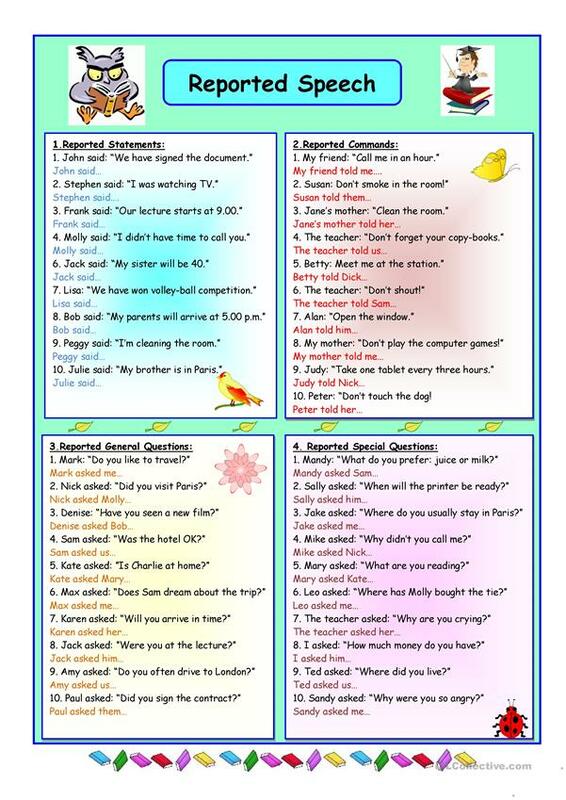 It is great for revising Reported Speech (Indirect speech) in English, and was designed for developing your class' Writing skills.